Born in Italy, Raffaele Pe started his vocal and organ studies at the Lodi Cathedral where he was a chorister, working under Pietro Panzetti. He continued his training in London with Colin Baldy and became a member of the Monteverdi Choir’s Young Artists’ programme collaborating closely with Sir John Eliot Gardiner. He then perfected his skills with Fernando Cordeiro Opa in Bologna. Hailed by critics as one of the up-and-coming Italian artists of the operatic scene, Raffaele’s versatile and expressive voice embraces a repertoire that extends from the recitar cantando to contemporary operas. He made his US debut at the Spoleto Festival USA, interpreting the leading male role of Delio in the premiere of Cavalli’s Veremonda, alongside Vivica Genaux. He debuted at La Fenice with Vivaldi’s Orlando furioso and at the Florence Opera with Vinci’s Didone abbandonata. Other highlights include Ottone in Monteverdi’s Incoronazione di Poppea in Tokyo and at the Schlosstheater Schwetzingen, Leone in Bajazet by Gasparini at the Festival Opera Barga, Roberto in Vivaldi’s Griselda under the baton of David Bates, and Santino in the pasticcio Amore siciliano conducted by Leonardo García Alarcón. 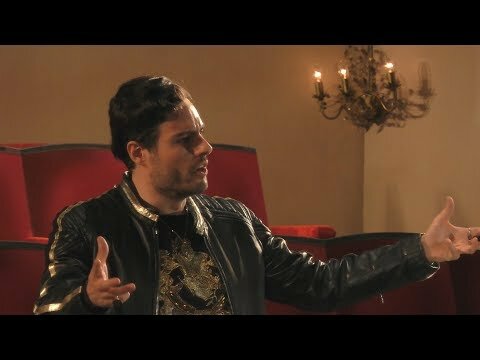 Raffaele is the first countertenor ever to be invited by the Verona Opera Festival where he sang Carl Orff’s Carmina Burana under Andrea Battistoni in the Arena di Verona. Among his most important past engagements are Linceo in Ipermestra by Cavalli at the Glyndebourne Festival directed by Graham Vick; Oberon in A Midsummer Night’s Dream by Britten for Opera Lombardia; Ermione in Scarlatti’s Trionfo dell’onore at the Festival della Valle d’Itria. Raffaele Pe was seen on stage as Arsace in Berenice at the Göttingen International Handel Festival, as Siface in La Critica by Jommelli in Graz, and as Spirit in Dido and Aeneas by Purcell at the Verona Teatro Filarmonico with Stefano Montanari and Marina Bianchi. 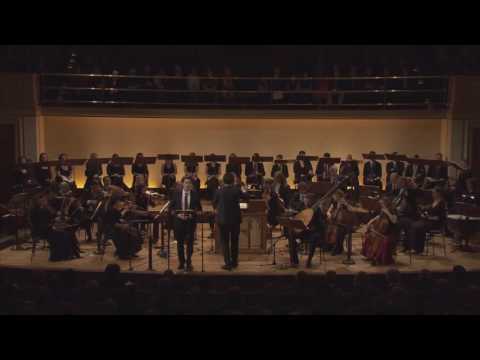 He performed Bach’s St Mark Passion reconstructed by Jordi Savall in Versailles and at the Paris Philharmonie. Raffaele frequently collaborates with some of today’s leading conductors, including Jordi Savall, William Christie, Diego Fasolis, Alessandro De Marchi, Ottavio Dantone, Paul McCreesh, René Jacobs, Nicholas McGegan, Václav Luks, Christophe Coin, Antonio Florio, Jean-Christophe Spinosi and Claudio Cavina. 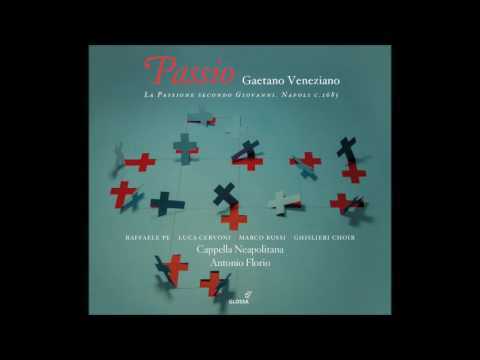 For the label Glossa, Raffaele Pe released his first solo album “The Medici Castrato”, which he performed at the Bologna and MITO Festivals and in major European venues including the Berlin Philharmonie. 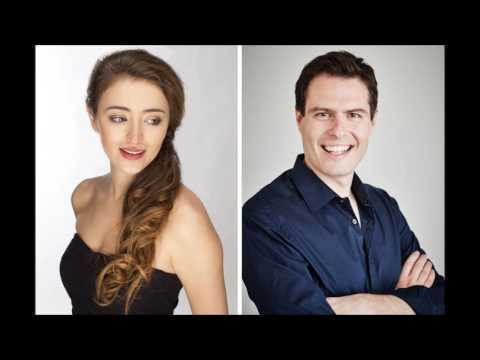 He also recorded for Glossa the CD “Sospiri d’amore” (operatic arias and duets by Cavalli) with La Venexiana, and the Evangelist in Veneziano’s Passione secondo Giovanni with the Cappella Neapolitana. Raffaele features in several recordings published by Harmonia Mundi, Arcana, Resonus Classics and ORF. 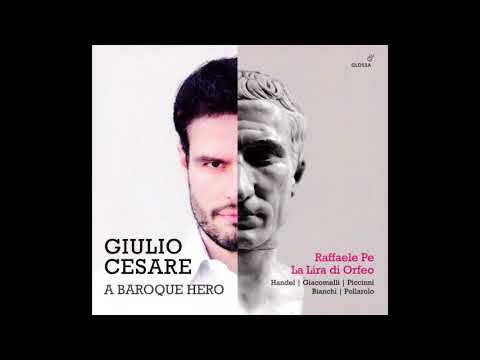 In October 2018 Raffaele issued a new solo album, “Giulio Cesare – A Baroque Hero” (Glossa), with his own Ensemble La Lira di Orfeo under the direction of Luca Giradini. Recent and future projects include Disinganno in Il Trionfo del Tempo e del Disinganno at the Innsbruck Festival, Nerone in Monteverdi’s Incornazione di Poppea with Jean-Christophe Spinosi at the Teatro Colón in Buenos Aires, the title role in Alessandro Melani’s Empio punito at the Teatro Verdi in Pisa conducted by Carlo Ipata and staged by Jacopo Spirei… as well as several Handel opera roles such as Nerone (Agrippina) at the Grange Festival, Medoro (Orlando) at the Theater an der Wien, the title role in Arbace at the Halle Handel Festival and Goffredo (Rinaldo) for Opera Lombardia under the baton of Ottavio Dantone with his Accademia Bizantina. Earlier this year Raffaele Pe presented a solo recital dedicated to Vivaldi alongside I Barocchisti and its founder Diego Fasolis at the Opéra de Lausanne.